A great story, well told, has the power to leave a lasting impression and even inspire action. And when done right, storytelling can do powerful things for firm marketing. Learn about three classic storytelling frameworks and how to use them to market your firm. The second episode in a two-part series on exceptional thought leadership marketers. Learn about the other four (out of seven) capabilities of the best thought leadership marketers based on Rattleback’s recent research study with Bloom Group. Part 1 of a two-part series on exceptional thought leadership marketers. In this episode, Jason shares three of the seven capabilities of the best thought leadership marketers based on Rattleback’s recent research study with Bloom Group. There are a lot of firms who have a sales support function masquerading as marketing. So what are the things marketing should be doing in professional services firm to enable sales, rather than just support it? Feel like you’re stuck doing stupid stuff and wondering how to move to the smart list? This episode wraps up the series on stupid and smart things for marketing to do. Jason and Jeff offer advice for becoming a smarter professional services firm marketer. Last week we talked about the stupid things marketing shouldn’t be doing in professional services firms. So what are the smart things marketing should be doing to help their firm grow? Let’s take a look. Pardon our language, but we’ve come across a lot of things that get thrown on marketing’s plate in professional services firms that simply shouldn’t be there. They’re either a waste of resources, they don’t align with a strategy, or they should be owned by partners instead. So what’s on the list? Gil Hantzsch, CEO of MSA Professional Services, joins Jason Mlicki to talk about the key speech he delivered to his employees to share his vision for the firm while in the midst of a rebrand. Are You Managing a Brand? Or Minding a Legacy? When you’re trying to build a legacy you’re focused farther out than meeting this year’s numbers. You’re focused on shaping how the marketplace views what it is you do. In this episode, Jason and Jeff discuss what building a legacy looks like inside a professional services firm. In this episode, Jason and Jeff discuss different types of agency-client relationships and offer perspective from both sides on how both agencies and the companies who hire them can have a better experience working together and ultimately, reach the desired results of a project. Do You Really Need Brand Awareness? Your firm may have brand awareness, but does it have brand relevance? And what’s the difference? In this episode, Jason and Jeff dive into the role of brand awareness versus brand relevance and how they fit together in a firm. In the previous episode, Unleashing the Young Turks In Your Firm, Jason and Jeff talked about how to identify high potential employees. But once you find them—or they make themselves known—how should you go about managing them? Jason and Jeff discuss a list of things marketing has ruined, and on the flip side, what marketing has made better. And they leave marketers with a positive message on how they can differentiate themselves and be better marketers. Jeff McKay talks with Grant Thornton CEO Mike McGuire about the firm’s unique structure and culture that embraces disruption and facilitates innovation, creativity and growth. Jeff McKay talks with Andy Bosman, Chief Marketing Officer at RSM, about the intersection of strategy, leadership and culture—and how when an organization gets those right, growth is the result. In Part 2 of our two-part episode, Jeff dives into what professional service firm leaders can to do overcome or avoid dysfunction and help their firm reach its full growth potential. Culture is at the heart of whether a company is going to succeed or fail. In Part 1 of this two-part episode, we explore the cultural problems that exist inside the unique environments of professional services firms that keep them from reaching their full growth potential. Rattleback’s recent research, conducted with Bloom Group, on thought leadership marketing shows that the best firms have likely been at it for 4-10 years. In this episode, we talk about approaches firms could take to accelerate that journey. We asked over 300 B2B marketers…In this podcast, Jason shares high-level findings from Rattleback’s current and past research with Bloom Group into the characteristics of exceptional thought leadership marketers. It’s planning season. What does a growth-driven marketing plan look like? What research should you do? How do you cascade down from marketplace issues to marketing strategies and quarterly tactics? We’ll answer all this, and more, in just 20 minutes and 19 seconds. So, you want to be a growth marketer. You’ve defined the skills and capabilities you need. But, do you have the right roles? Introducing Jeff McKay, co-host of Rattle and Pedal, as he speaks about the meaning behind the name “Prudent Pedal”, his background in marketing, and what he’s learned from his numerous positions as a senior marketing leader within large firms. 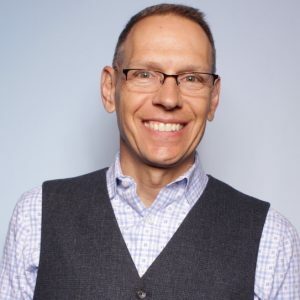 Introducing Jason Mlicki, co-host of Rattle and Pedal, who speaks about his role as Principal of Rattleback, how it came to be and what he’s learned as a recognized leader in the professional service marketing industry. What do firms typically spend on marketing? 5% of revenue? 10% of revenue? Does it matter? Forget about benchmarks as we talk about how to develop a proper marketing budget. There’s a massive disconnect between where clients spend time in their buying process and where firms spend time in the sale. In this episode, we jump right into the void. Jeff and Jason discuss the things that will never change in thought leadership marketing and 3 big things that are—content consumption habits, trust in corporate publishers, and the role of digital media. Jason and Jeff explore 6 potential responses firms can take to compete with the SaaS-driven content marketing freight train barreling down upon them. There’s a VC-backed, tentacled monster attacking the heart of your practice. It’s not AI, automation or blockchain. It’s much bigger and more dangerous. A lot of partners express frustration, either directly or implicitly, that their marketers just “don’t understand the business.” Is this a real problem? Or, just misaligned expectations? In our first episode, we dive head first into the issue. And, explore what it means — both for partners and for marketers. 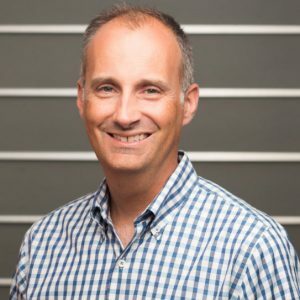 Jason is Principal of Rattleback, a recognized leader in professional services marketing. A former CMO, Jeff is the founder of strategy consultancy, Prudent Pedal.